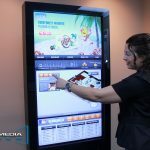 MIAMI — Intermedia Touch Inc., dealing with digital signage and technological systems is one of the most rapidly growing companies is the United States. Specializing in different areas such as gaming, healthcare, education, retail and professional sports arenas to name a few, Intermedia Touch is a front-runner in its industry. IMT is looking for experienced professionals who are particularly intrigued in the technological industry, excel in sales, and have an established track record. Intermedia Touch is proud to reveal the launch of its national sales expansion, stepping into new boundaries and sharing their DSE award-winning technology and digital signage solutions. Expansion locations of interest include, but are not limited to, the Northeast, Midwest, West Coast, and Gulf Coast regions. 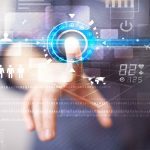 IMT designs custom interactive hardware and software solutions designed to create the highest sensory impact geared towards a specific target audience. With over 20 years of combined experience in the technology and audiovisual fields, IMT offers unmatched service and extensive expertise as highly-skilled system integrators. Call today for more information about our growing sales opportunities and if you would like to be considered.